Are there any contra-indications for HCG injections? Why does everyone have to see the doctor and consultant? Is it advisable for pregnant women to do the programme? Is it safe to do the Slender Wonder programme while breastfeeding? Can you be tested positive for pregnancy on blood test you are not pregnant? Can Children do the Slender Wonder program? May patients suffering from wheat and lactose intolerance follow the programme? Can someone with an underactive thyroid follow the programme? Can a patient with diabetes and hypertension do the programme? Exclusions and Contra-indications for Herba Boost? Patients will often report that they successfully lost weight in the past, but gained the weight (plus some) again. Some patients always want to know if they can do more exercise or limit their kilojoule intake to make up for not sticking to the diet? Why do you break after 6 weeks of injecting? If you accidently put the injection vial in the freezer, does it still work? 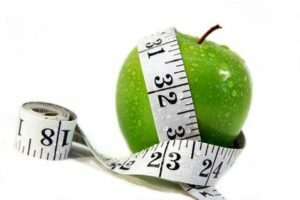 What will the consequences be if a patient follows the Simeon B eating plan without taking the HCG injections? We had a patient on the programme who complained about hair-loss. What could the reason be for this? Can I do Slender Wonder if I am going in for surgery? I have a spastic colon and have tried using Moviciol for this condition, but it doesn’t help. What do you recommend? Are patients allowed to spread Marmite on their Crackerbread or Provitas. Which cheese is allowed to be eaten? Which flu/cold medication can you use, that will not have a negative effect on the injections or the programme in general? What can you do with needles after you have used them? What does all the products and injections do? Any hormonal cancer; e.g. prostate, breast, ovarian, endometrium etc. The consultant does your anthropometrical measurements and discusses the diet with you. She gives advice regarding the meal plans and exercise as well. The doctor reviews your medical history and chronic medication as well as recent blood tests. She will also check your blood pressure. Thus is very important to do, especially if you are on blood pressure medication (losing weight will lower your blood pressure) or require a prescription for an appetite suppressant. As a rule we do not recommend the programme to pregnant women, unless there are real health dangers caused by the overweight to either themselves or the unborn child. If weight loss is indicated, it should be done in consultation with the gynaecologist. Inform him/her about the nature of the programme as well as the amount of HCG to be prescribed. If the patient is moderately overweight (about 10kg) it is suggested that she commences with the programme during the breastfeeding phase. However you can follow the Stabilisation plan – DO NOT USE HERBABOOST. Please consult Slender Wonder’s official protocol on following the programme during breastfeeding. researched. All other supplements are safe to use during breastfeeding. Slender Wonder’s official stance is to rather not initiate the programme during the first three months after birth – apart from possible medical reasons this is to give mother and baby time to bond and not to place unnecessary stress on the mother during this critical developmental phase. The injection fluid contains HCG, 125IU per 0.5ml. It is too little to detect in the blood and patients do not test pregnant. Yes, Boys can follow the programme from the age of 12. Girls can start after one year of stable and regular menstrual cycles, since HCG may cause delayed puberty. Children follow the Simeon B meal plan. Children may have some aspartame-free diabetic sweets e.g. Caring Candies. Caring Candies contain no preservatives, sweeteners or colorants. We have a whole kids range available, visit www.supremewellness.co.za. You can order these products with us. Wheat intolerance implicates the patient can only use the Rye Vita end the Rye Wasa bread. Lactose intolerance is more of a challenge. If the condition is not too severe, the shake can still be used. If it is severe the shake should not be taken. It is very difficult to replace the shake with protein and vegetable. Your only option will be Simeon B with fruit and starch as breakfast replacement. Yes, the programme will work the same as for any other person as long as the patients continue with medication to control their condition. If not, they will lose weight but at a much slower rate. Losing excessive weight will not “heal” the under active thyroid and the patient will still need medication. It will however be easier to control the dysfunction. These patients are in fact the patients who will benefit most from the programme. The hypertensive patients can rapidly reach the situation where they may reduce the dosage of their medication as they start losing weight. Obviously, this should be done in consultation with their doctor. Some others may reach a point where no further BP medication is indicated. The insulin dependent diabetics have to watch their 30 glucose levels cautiously. This should be easier for them as they are in the habit of monitoring this constantly. They lower their short acting ones accordingly and the majority of the patients can discontinue with this within a few weeks. The long acting insulin administered morning and evenings may be reduced to half or third of the initial dosage within a month. The HCG does not affect these medical conditions at all. The diabetics however must be closely monitored for hypoglycemia until their dosages have stabilized. Surgery. Stop Herba Boost and scheduled appetite suppressants two weeks prior to surgery. Herba Boosts inhibits clotting and scheduled appetite suppressants may affect anaesthetics. Patients taking Warfarin. Check PI/PTT and INR levels regularly since the dosage may need adjustment with weight loss. Kelp allergy: Herba boost contains Kelp which in turn contains Iodine, so the patient should not take the Herba boost. Exclusions and Contra-indications for Easy Garcinia? Do not use Easy Garcinia if you are on any Thyroid medication. The answer is no, it all works in a formula. It is to prevent desensitisation to the efficiency of the HCG. The Simeon B programme provides only 500 – 600 calories which is not adequate for the daily nutritional needs of the body. A patient should be discouraged to follow this plan without supplementing it with the calories mobilized by the HCG injections from the fat deposits. Some patients may develop adrenal burnout symptoms including high fasting glucose, high potassium levels, slow pulse rate and feelings of extreme exhaustion. It is a normal phenomenon for patients who have lost 8 – 10% of their body fat to suffer from a temporary degree of hair loss. This condition will usually not last for more than 6-8 weeks. Under “normal” conditions hair is always in one of three phases: growth, standing still or falling out. During the weight loss programme the hair may go into the last stage and the patient may lose more hair than usual. Normal growth will take place and the hair will recover shortly. In cases of extreme hair loss it might be a good idea to ensure that the patient doesn’t suffer from an iron deficiency. If needed Minoxidil 2% spray may be administered. Yes, but discontinue taking Herba Boost two weeks before any surgery, because it inhibits clotting of blood and therefore can cause bleeding. In case of unplanned or emergency surgery, inform the surgeon about the Herba Boost; it is not necessary to postpone the surgery. Scheduled appetite suppressants should also be stopped two weeks prior to surgery as it can influence the anaesthetics. If Moviciol doesn’t help, try using Natrelax or Ten Herbs (we sell TenHerbs). Only aloe based products may be used. Marmite is not on the list of allowed foods and may therefore not be eaten. Any cheese is allowed to be eaten as long as it contains less than 10g of fat. Med Lemon contains sucrose, so basically sugar and it will counteract the injection. Any flu/cold tablets or capsules are acceptable; it is the fizzy things that have no kilojoules. Be careful of cough syrups, most contain sugar and alcohol. Corenza C and ACC effervescent are acceptable. Only 2 acceptable are Bisolvon Linctus and Adco Linctopent. Return the needles to the practice so we can discard it according to government regulations. Please do not discard it at home. Mobilise the abnormal, unwanted fat. Fat-burning, muscle-building meal replacement with necessary nutrients, vitamins and minerals. Magnesium supplement that facilitates insulin management, energy production, muscle control, protein synthesis, nerve transmission, detoxification and bone development. Thermogenic activator (increase basal metabolic rate). Bowel cleanser and aids in constipation. Add to water to increase water intake and boosts metabolism. Inhibits storing fat and aids the fat-burning mechanisms.